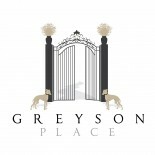 Happy first day of Spring from all of us at Greyson Place! Time to pack away the down blankets, break out the gardening supplies and start enjoying the great outdoors again. Spring is our favorite season for picnics. There’s nothing like sitting in grass freshly warmed by the sun, hearing the sound of birds and distant lawn mowers, smelling the new blooms on the wind. With the warm months around the corner, it’s time to prepare, and our charming new picnic baskets are simply a must-have for the season! 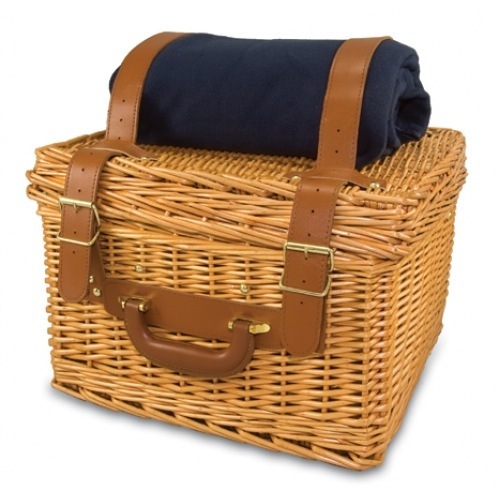 Picnicking is an elegant affair with the traditional English-style Canterbury Picnic Basket. The Canterbury is a suitcase-style willow basket with genuine leather straps, plush corduroy interior, and deluxe picnic and coffee service for two. It makes a wonderful centerpiece for any picnic. 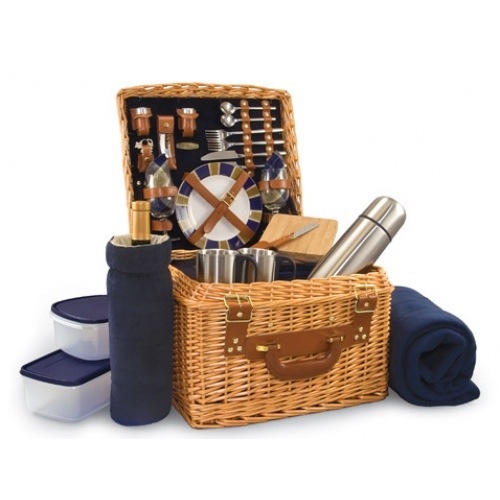 Make your picnic a special one with the Canterbury Picnic Basket! The Big Ben Picnic Backpack is perfect for the adventurous picnicker. It’s the best go-anywhere picnic backpack… great for picnics, concerts, tailgating, sport events, hiking and the beach. 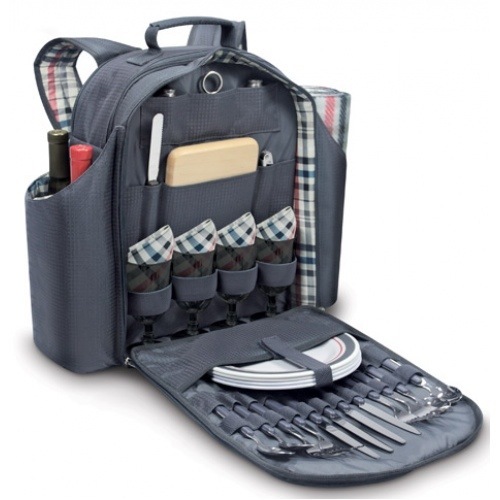 It comes with an integrated, exterior double-bottle wine pouch and all the amenities needed for a picnic for four. The Big Ben was specially designed to include pockets for all its accessories… all the “little things” that will enhance your picnic experience. This tote makes an excellent gift for any occasion. Just pack it up and experience the finer moments of life. Click here to view this product page! 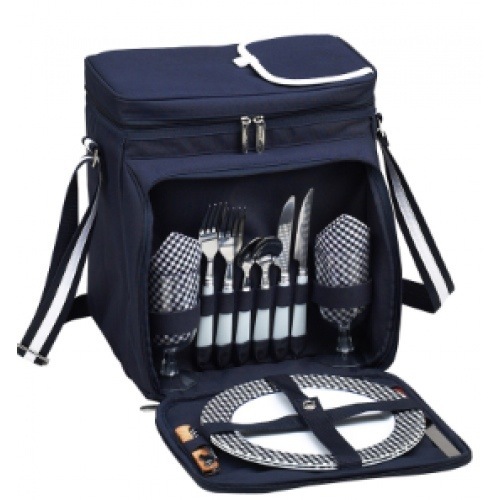 Practical and functional, the Picnic Cooler for Two comes fully equipped for any successful picnic! Uniquely designed, this cooler is divided to separate your food and drinks and is insulated with a thermal shield. Easily access your drinks through a panel in the lid! Leakproof, the cooler can be packed with ice to ensure your drinks stay chilled longer. An adjustable shoulder strap makes it easy to carry and an extra front pocket is perfect for packing snacks! This entry was posted on March 20, 2014 by Kaitlin Wagner in Garden, Gifts and tagged Food & Wine, Gift Ideas, Greyson Place, Home & Garden, Picnic, Picnic Baskets, Shopping, Spring, Travel.